Style your hair professionally with V & G Professional VGP-3100 Hair Dryer! This compact hair dryer gives you salon style hairstyles and blow dried hair at the convenience of your home.The professional hair dryer caters to all hair types with a concentrator nozzle for unbeatable control. It condenses air flow to the targeted area and controls frizz, adding precision styling for perfectly smooth hair. Customizable settings choose from 2 speed settings and 3 heat settings: high heat for thick or coarse hair and to remove excess moisture low heat for thin or fragile hair and to perfect your look cool shot button for a blast of cold air that locks in style all day long. Explore the entire range of Hair Dryers available on Nykaa. 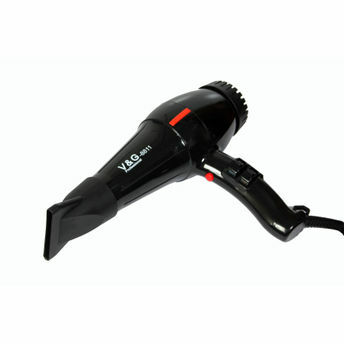 Shop more V&G products here.You can browse through the complete world of V&G Hair Dryers .